Preheat the oven to 450*. 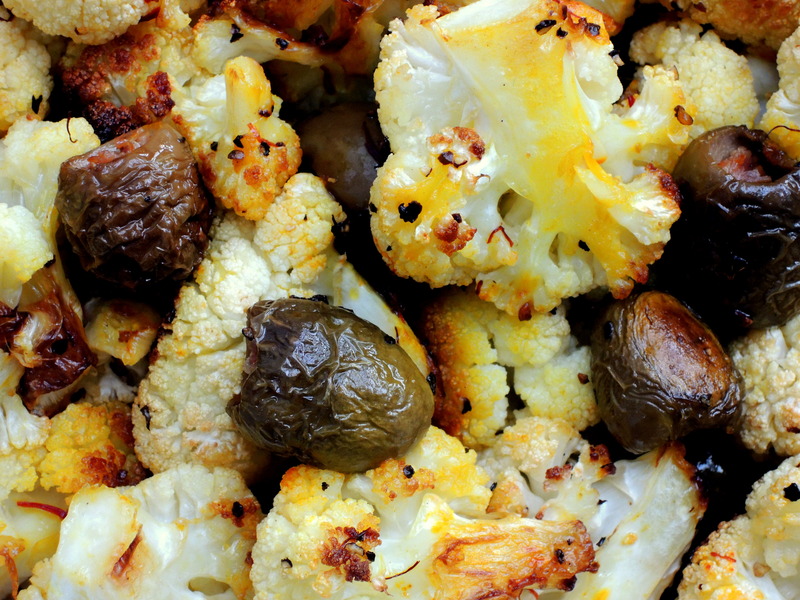 Toss the cauliflower pieces with the olive oil in a large bowl. Toss again with the saffron. 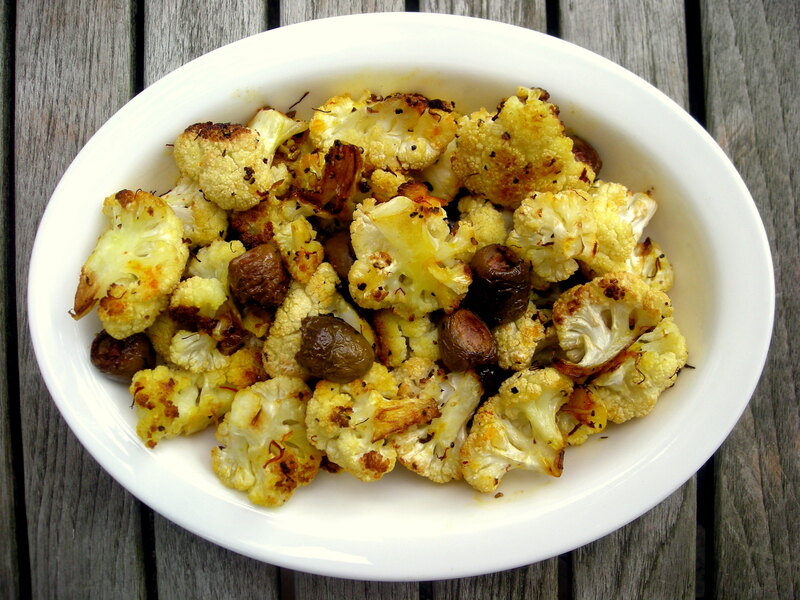 Place the cut-up cauliflower in a large baking pan or rimmed baking sheet in a single layer. Sprinkle the olives around in the spaces in between. Roast in preheated oven, stirring and turning pieces over occasionally, until lightly browned and tender, 20 to 25 minutes. NOTE: Traditionally served as an accompaniment to lamb, this can also serve as an antipasto.